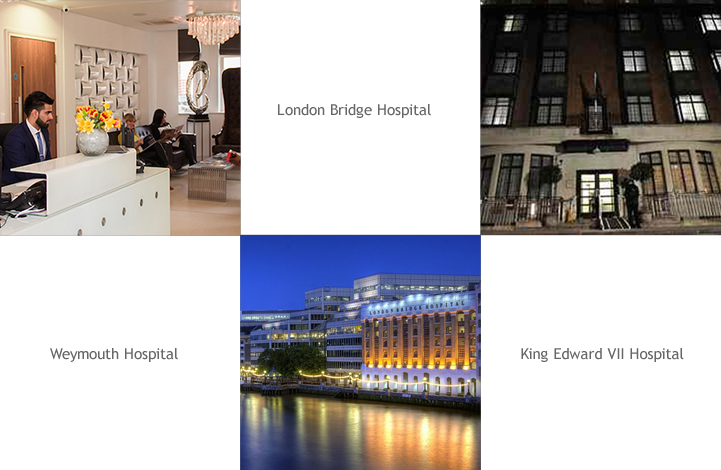 Symmetry clinic is based in London's famous Harley Street and has a new home in the iconic Shard Building towering above London Bridge overlooking the City of London. We offer accredited contemporary, first class facilities with up to date techniques in all aspects of non-surgical facial aesthetics. We use state of the art digital 3D imaging to help discuss post operative outcomes with our patients. This allows patients to undergo a virtual operation and see what they may look like after surgery. Whilst not a guarantee to the exact outcome, such imaging helps us marry our patient’s wishes with what is realistically achievable. We have found it an invaluable way of communicating with our patients and have had wonderful feedback about what this excellent software can do. Recognised as being the flagship of the HCA group of hospitals, London Bridge provides the highest excellence in care and has exceptional day care and in patient facilities for our patients. Conveniently located on the South bank adjacent to London Bridge tube and national rail station, it affords outstanding views of the Thames and the City skyline. Built on a longstanding reputation of excellence, this hospital uniquely ‘hand selects’ its Consultants by being the only hospital in the country where its Doctors have to be invited to practice based on their reputation and recommendation by peers. Famed for its cleanliness, no patient has ever acquired MRSA or Clostridium Difficile at King Edward VII’s Hospital. World renowned as being the private hospital to the Royal family, its individual nursing care is outstanding. This small but luxurious modern hospital has developed into an ideal place for first class surgical healthcare since first opening in 2010. It has a uniquely ‘boutique’ appearance and this is reflected in the individual attention given to patients by the staff. It fiercely values its independence and its standards reflect this.